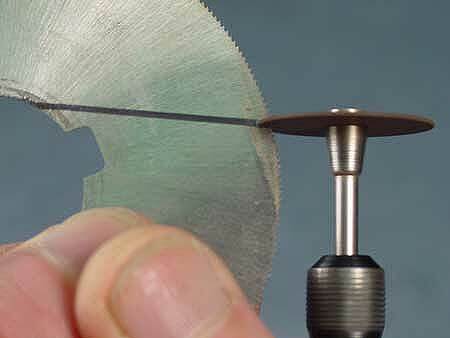 A few days ago, my friend, Bill Sveglini ("Uncle Bill" the band instrument guru) about a tool he was using to cut a very narrow kerf when slicing through a key support for a clarinet, or some such. 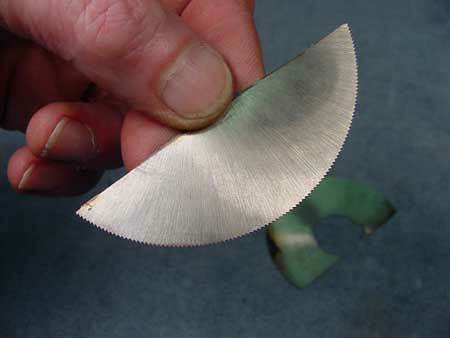 Anyhow, I managed to misunderstand what he was up to, and somehow got the idea that he was using a circular saw blade held rigidly in some device so he could cut this thing by hand. It took me a while to come back to Earth when he finally got it through to me that he was using a 1" diameter saw in his Dremel tool. 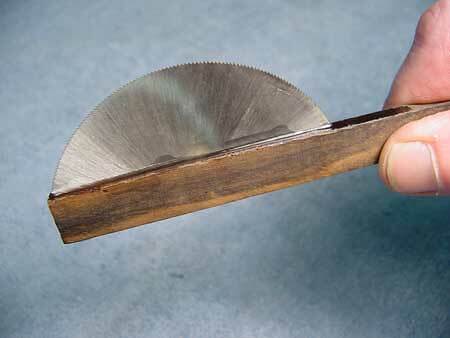 Meanwhile, I'd fantasized about this saw thingy, and later just had to try it out. My idea was much the same as Bill's. 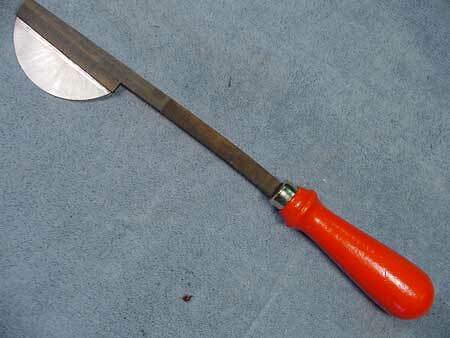 Namely, I wanted a saw that would cut the narrowest kerf possible. 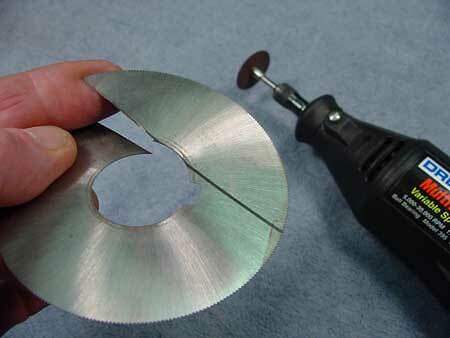 As it happened, I had a 0.006" thick metal slitting blade which was intended for a 1" arbor machine. 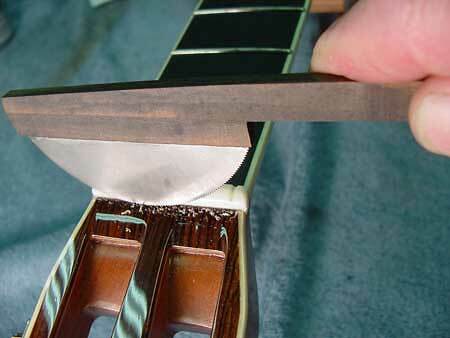 Its very flexible, so I can hold it right next to the back edge of the nut. 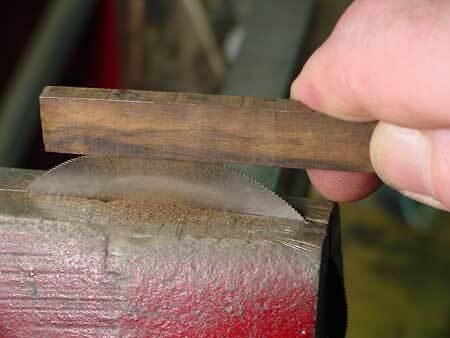 And this slitting saw has no set to the teeth, so its kerf is only .006 inches!